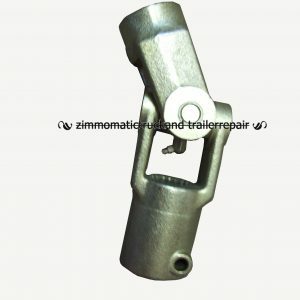 The pinless crank retainer is an alternative to the standard crank retainer, #SL1101929 which requires a wire lock pin. Contrary to the standard crank retainer, it is easy to operate even in cold weather. It allows quick access to your crank while keeping it secure on the road. 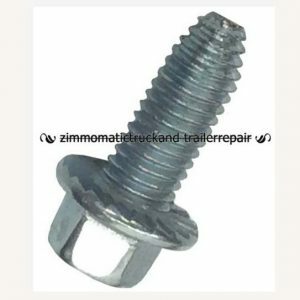 You can convert your standard offset crank retainer to a pinless crank retainer with the available conversion kit which bolts to your existing hooks. The offset pinless crank retainer kit, a spring loaded locking device for the shurflex crank handle, requires 4 per trailer. 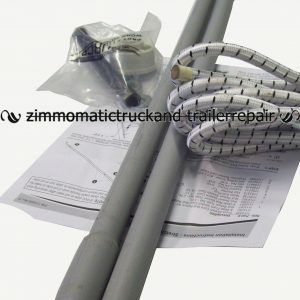 Its purpose is to lock the shurflex handle securely against the trailer after you have rolled your tarp tight. Because of the jointed flex handle, you need two locks on each side, one above the knuckle and one below. 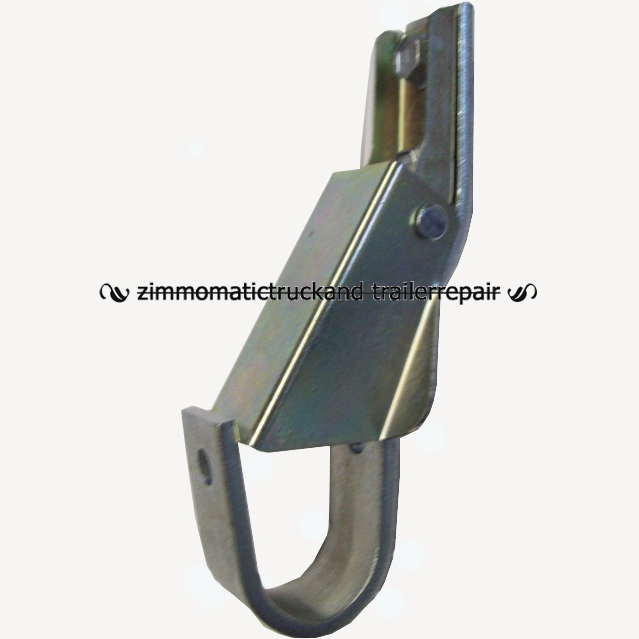 This brings your upper crank section down the vertical side of your trailer. 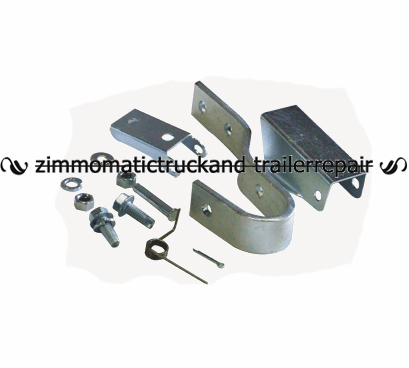 The lower section lies parallel to the floor of your trailer. 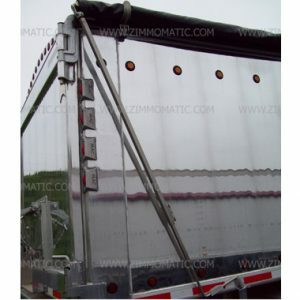 Although it is not without its faults, it certainly is an important component of the roll tarp system.